From the monthly archives: "February 2008"
As medical technology advances, modern society is increasingly faced with tough ethical questions–questions regarding right to life and quality of life issues. Take for example a new study which suggests that antibiotics are overused in people dying of dementia diseases and should be considered more carefully in light of the growing problem of drug-resistant superbugs. In other words, should people at the end stage of disease be given life-saving treatments despite the fact that time is not on their side? Or should medical practitioners consider the larger implications to the public health as a whole? According to study co-author Dr. Susan Mitchell, a senior scientist with the Harvard-affiliated Hebrew Senior Life Institute for Aging Research in Boston, “Advanced dementia is a terminal illness; if we substituted ‘end-stage cancer’ for ‘advanced dementia,’ I don’t think people would have any problem understanding this.” What she is referring to is withholding antibiotics from people in the end-stages of Alzheimer’s disease, a fatal brain disease. Although many dementia patients die from infections like pneumonia, the underlying cause of illness and deterioration is damage to brain cells. 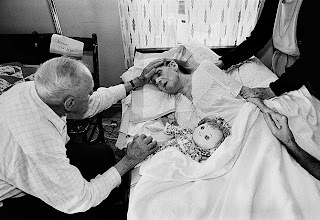 In the study, over two hundred people with advanced stage dementia residing in nursing homes in the Boston area were followed over an eighteen month period or until they died. Almost half the subjects died during the study. All subjects failed to recognize loved ones, had stopped speaking, were unable to walk or feed themselves, and were incontinent. Researchers looked at the patient’s medical records and found that 42% received antibiotics–many intravenously–within two weeks of their death. And here’s the kicker: The closer the patients were to dying, the more likely they were to receive antibiotics. 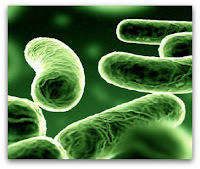 The problem with the practice of administering antibiotics to people near death is that we are in the midst of a superbug (antibiotic resistant strains of bacteria) epidemic; and the indiscriminate use of anti-bacterial medicines is more than a little to blame. Liberal prescribing of antibiotics is common in nursing homes, in children with ear infections, in adults with coughs and sore throats, and in many other ailments which, for the most part, will resolve on their own over time, or for which antibiotics are useless, like viral infections. But the fact is that, in nursing homes, the standard of care is for doctors to see the residents only one time per month or once every two months. According to Dr. Daniel Brauner, a geriatrician and ethicist at the University of Chicago Medical Center who was not involved in the study, “I’m sure a lot of these antibiotics were prescribed over the telephone.” I’m sure of that, too. 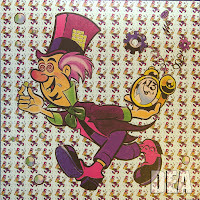 Timothy Leary might have been right after all–LSD does hold some keys in the world of pharmaceutical research. A new study shows that lysergic acid diethylamide (LSD) changes the brain chemistry in a similar way that occurs in schizophrenics. And these findings may eventually lead to improved treatments for schizophrenia. According to the research, LSD affects the same serotonin pathways that are imbalanced in schizophrenics, both leading to hallucinations and, at times, delusions. In the experiment it was found that LSD works simultaneously on serotonin and glutamate regulating receptors, and these two complexes together create the effects of the drug. When mice under the influence of LSD were given a second drug–one which inhibited the binding of LSD to the glutamate regulating receptors–it neutralized the hallucinogenic effects (how they figured that one out I’ll never know). The importance of this study is that previous treatments for schizophrenics concentrated on regulating serotonin levels by acting solely on the serotonin receptors. But now there is evidence that attacking both the serotonin and glutamate receptors are important when treating hallucinations and delusions common to both schizophrenics and acid heads. Nice work out of the Mount Sinai School of Medicine. The scientists conducting the study have pointed out that they were not originally looking at schizophrenia at all, but, as you may or may not know, LSD does have a way of opening up doors to the unexplored. Doh! Did I just say that? Oh well–tune in, turn on, and drop out, hippies. See you in San Francisco. No, no, no…this story is not about who you know, but about how large your social circle is. People who are heavily connected–those with lots of friends and strong family ties–do better before and after surgery, according to a new study published in the Journal of the American College of Surgeons. Socially connected people feel less pain and anxiety before going under the knife, and they spend fewer days in the hospital and use less pain meds following surgery than their more isolated peers. The study looked at 605 patients at the VA Ann Arbor Healthcare System and the University of Michigan in Ann Arbor who underwent major surgery of the chest or abdominal area. The original study actually sought to determine the benefits of massage therapy on surgery patients, but also collected information on the subjects social support networks. They grouped people according to how many close friends and relatives they had, how often they saw them, and whether they attended a place of worship or other social function at least once a week. Participants with large social networks were less likely to exhibit anxiety or feel pain before the surgery or afterward, and required less opiate drugs. As an aside, the research team found that massage relieved pain equivalently to a 1 milligram dose of morphine. Well, two thoughts here: First, I’m not surprised by these findings but am pleased that this sort of thing has finally been looked at. Far too little time is spent on the mental and emotional components of health and healing. I speak about the social connection aspect of achieving fitness in my upcoming book, The Six Keys to Optimal Health–it seems obvious to me: The more connected you are to others and society as a whole, the more your health will flourish. 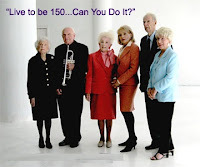 Further, exercising in groups of two or more does wonders, as people who take advantage of this connection tend to work out more often and push themselves a little harder. The second thought has to do with the findings on massage. Let’s see, regular bodywork–working out the stresses and tensions of muscles, tendons, joints and ligaments–helps reduce pain? You don’t say? Not only is this one of the major premises of my book, nothing is more obvious to a chiropractor. That’s precisely why we get such great results in chiropractic offices helping people who are in pain; because everybody–and I mean everybody–needs regular maintenance care to work out the wear and tear that accumulates in the body from daily living. Just as a car needs its oil changed and its tires rotated regularly, the human body needs its own regular bodywork. Bravo! Great study. Heed the results folks–your social life is important in more ways than one. It greatly enhances your mental and emotional well-being, it’s fun, and it positively affects your physical health. And regular bodywork is as good as a shot of narcotic. Whoa! Now that’s a party. Tango anyone? How about a Jitterbug, Cabbage Patch, or a little Roger Rabbit? 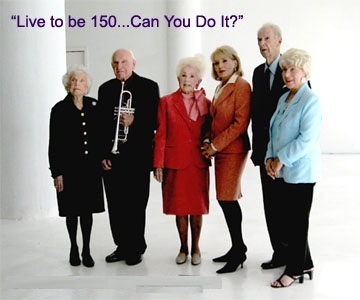 No, really–dancing is a great way to keep yourself young. Just ask anyone who cuts it up regularly, and they’ll tell you how much dancing helps them keep their youth. But we now know that dancing–especially the tango–can also help people with Parkinson’s Disease stay mobile and maintain balance. So say new findings out of Washington University of St. Louis medical school. 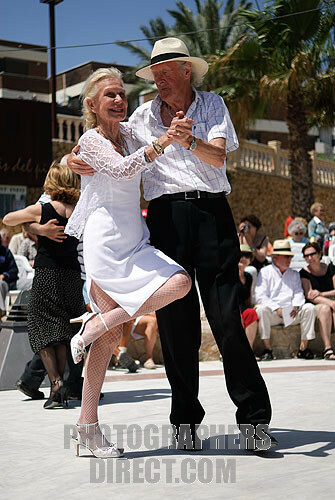 According to the study, although dance in general is good therapy for Parkinson’s patients, tango specifically helps with balance and mobility due to the nature of the dance, specifically its dynamic balance, turning, initiation of movement, moving at different speeds, and walking backwards. The study looked at two groups of Parkinson’s patients: one that was led through exercise classes, and the other was given tango lessons. The exercise group was given strength and conditioning exercises routine for Parkinson’s patients and the elderly, while the tango group was taken through exercises which included stretching, balance exercises, tango-style walking, footwork patterns, experimenting of timing of steps, and dance with and without a partner. 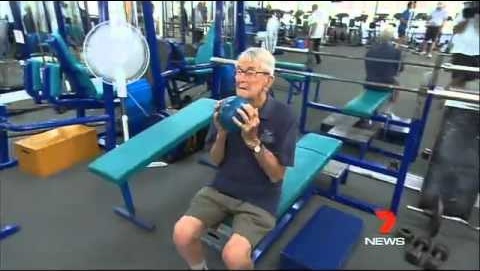 The exercise classes included 40 minutes of seated exercise, followed by standing exercises supported by a chair, core strengthening and stretching. Although both groups showed improvement, the tango group showed greater improvement with balance. Great news and wonderful confirmation for the power of balance work. In the chiropractic profession, we know how crucial balance is to the overall health and well-being of the body. Our sense of balance is integral in many functions including our biomechanics or whether we’ll suffer chronic pain or not. Also, having proper balance, especially for the elderly, is essential for preventing falls, which can lead to hip fractures and even death if vital arteries are severed during the break. Many systems contribute to the balance function including the cerebellum and proprioceptive receptors, but it all starts in the feet–and good footwork can only help us keep our balance intact–thus the power of tango. So everybody, get up to get down…and tango. Just another very big reason to take care of your health while you still have it: Magic bullets don’t always work; and often, they can turn deadly. Take for instance the latest news coming out of the 60 Minutes newsroom. In an interview to be aired next Sunday, a medical researcher has disclosed that 22,000 lives were lost due to complications of a drug used to stem bleeding during open heart surgeries. 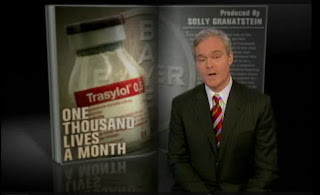 According to researcher Dr. Dennis Mangano, an observational study he conducted showed that the drug Trasylol, manufactured by Bayer AG, was linked to kidney failure and death. The scary part is that Trasylol, one of the most widely-used drugs of its kind, was used on one-third of all open heart surgeries during the drug’s “height”. Worse yet, in his study, Dr. Mangano recommended discontinuing the use of Trasylol and that the drug be recalled. Doh! 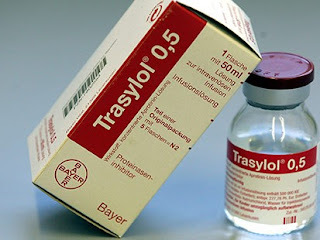 But wait, it gets better: Bayer, the German pharmaceutical company, well-known for its aspirin, also knew of the link between Trasylol and kidney disease…but withheld the information from the FDA. Nice. Cha-Ching! Once again, just another big reason to take care of your health now. Your heart needs proper caring and maintenance–through diet and exercise–just like all your organs do. Yeah, I know we all know this–but is everyone doing what they need to do in order to keep their hearts ticking? If you’re not, then you’re flirting with disaster. 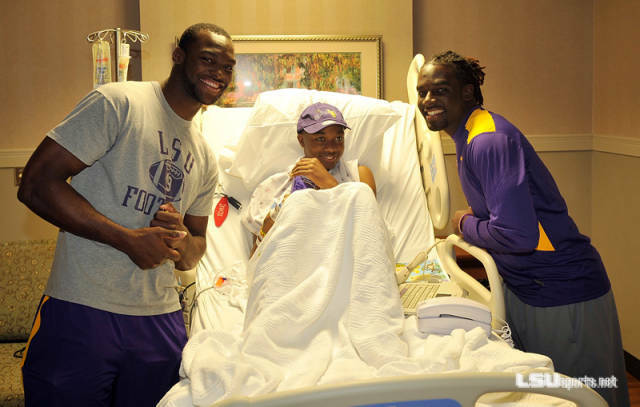 Just imagine going in for a heart bypass and coming out with dialysis. The major point here is that nobody is going to care for your health as much as you do. Period. Some companies will have no remorse to make money at the expense of your safety–you’d better believe it. 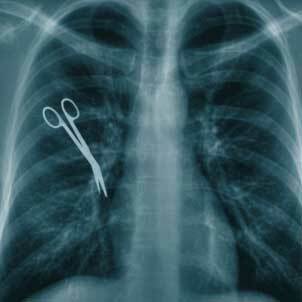 So if you don’t care for your heart like its your most valuable asset, then don’t expect anybody else to, either–not Bayer; not your surgeon; not your insurance agent; not your Congressman; not your next President, no matter who that might be; not anyone. You’d better believe that. Every chiropractor knows how much pain can disrupt the life of the person suffering from it. “Hurting” is just the tip of the iceberg. Truth is that when pain sits around for a long time, it disrupts all processes, especially mental ones. These facts have now been disclosed by a new study out of Northwestern University in Chicago. The study looked at 30 people–15 with chronic low back pain and 15 that were pain-free. Each person was hooked up to a brain scan, a functional MRI, and was asked to perform a simple mental task–tracking a moving bar on a computer screen. 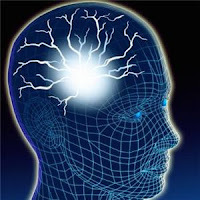 The idea was to study a brain process called the default mode, an automatic setting of the brain of healthy people that controls functions when the brain is at rest–that is, when it is not actively processing information. In healthy people performing a mental task, the default mode quiets down. 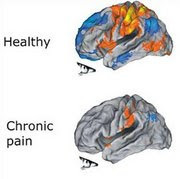 But not in people suffering from chronic pain (lasting longer than six months was considered chronic in this study); in these people a region of the frontal cortex associated with emotion was constantly active, even during a routine mental task (check out the cool video, here). This constant cortical activity of the brain actually disrupted the normal brain equilibrium. Whoa! Again, no surprise to chiropractors. But I’ll bet it’s no surprise to anyone who’s ever been in chronic pain, either. I’ve personally experienced it on both ends; as a doctor of chiropractic, I see the effects of chronic pain on people on a daily basis; as someone who has had my fair share, I know how difficult it is to do anything when in constant pain. Heck, I could barely make simple decisions when my tooth cracked. And with appendicitis–forget it! All I could do was moan. The take home lesson here: Don’t let pain sit–get it taken care of right away. Go see a chiropractor, an acupuncturist, a massage therapist, or any practitioner that can help you. Perhaps you need to exercise, perhaps you need eye glasses–find out the cause of your pain and do something about it. Don’t just accept it as “getting older” or the unfortunate reality of any particular illness–even cancer patients can find some relief in alternative health methods like meditation, yoga, chiropractic and massage. So don’t give up, and don’t let it wait to go away on its own–take care of your body and address your pain today; and get back to living the life you love to live. 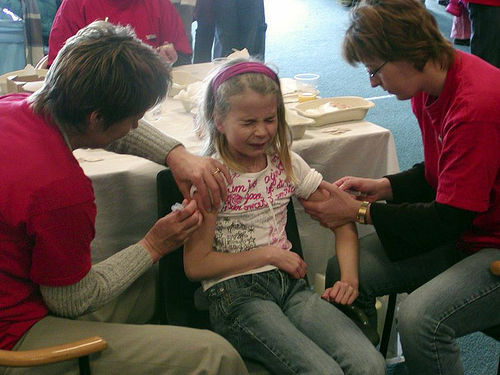 Well, well, well–you heard it here first: The flu vaccine isn’t worth all that much. To be fair, the Centers of Disease Control (CDC) is finally fessing up. Yup, you heard right–CDC officials are admitting that more than 50% of the flu strains we are currently seeing in the U.S. are NOT included in this year’s flu vaccine. But you knew that, right? You’re a regular reader of this blog, god bless ya! U.S. officials have reported that the number of states reporting widespread flu activity has increased from 11 to 31 in just one week. The severity of flu strains is often measured by the number of children it kills in any given year. This season the number is at six–low by public health standards–but people are still getting sick by the boatloads. Hmmm…weren’t flu vaccinations way up this year? Crazy. Because the composition of the flu vaccine is decided nine months earlier than it is actually made available to the public–an eternity in light of the influenza virus’ ability to mutate–it is often impossible to match exactly the strains that might make their appearance on any given year. To add insult to injury, one influenza expert has disclosed that we are now even seeing some strains developing resistance to Tamiflu, a popular anti-viral used frequently to fight the symptoms of the flu (which is supposed to be prevented through the vaccine–anybody else see a glitch in this reasoning?). According to Dr. Joe Bresee of the CDC’s influenza division, “a less-than-ideal virus match between the viruses in the vaccine and those circulating viruses can reduce vaccine effectiveness.” OK, thank you; finally, some sense. So why bother? I know a lot of people who are battling the flu right now. Hang in there; you’ll get better. And then you’ll develop your own immunity, which will strengthen your system. Of course, that is until next year, when a new strain will then come around and we’ll get to do it all over again. Boy, ain’t health fun? A study performed at the John’s Hopkins School of Medicine fed 30 epileptic subjects a diet restricted to 15 grams of carbohydrate a day. The rest of their calories came from fats such as eggs, meats, oils and heavy cream. In addition, the subjects were free to eat as much protein and no-carb drinks as they wanted. After one month on the diet, half of the subjects (15) experienced 50% less seizures. Remarkable! 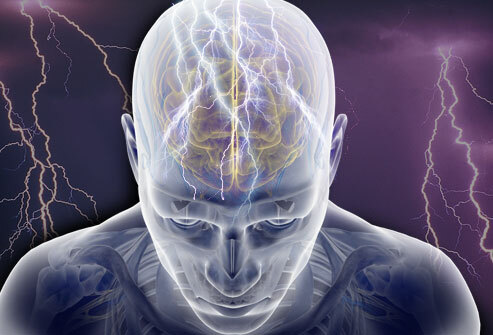 Right now scientist are unsure of exactly what causes the reduction in seizures, but it is good news particularly for epileptics who respond poorly to anti-convulsant drugs. The subjects in the study all had unsuccessfully tried two medications in the past, and were having ten seizures per week on average. The low-carb diet has already been established as a valuable seizure control in children, but researchers wanted to see if the benefits extended to adults as well. And they could only have one of the above…per day! I know, I know–to prevent seizures most everybody would say they’d do anything. But if you’ve never tried to eat that little carbohydrate, you don’t know how hard it can be. Without a doubt, it’s still way worth the effort; but I’m sympathizing anyway–I’ve changed enough habits to understand the challenge. I guess it just comes down to prioritizing one’s values. I think the most important thing we can all pull out of this is to remind ourselves how carbohydrate-heavy (read: sugar) our western diet is. If you want to get the most from your health, start cutting down the carbs and sugar now, while you’re still healthy. And definitely don’t start the habit with your children. These eating patterns are learned behaviors; they can certainly be unlearned, but much easier to not learn them in the first place. We all need carbs, no doubt; but we definitely don’t need them to the excess that many of us consume. 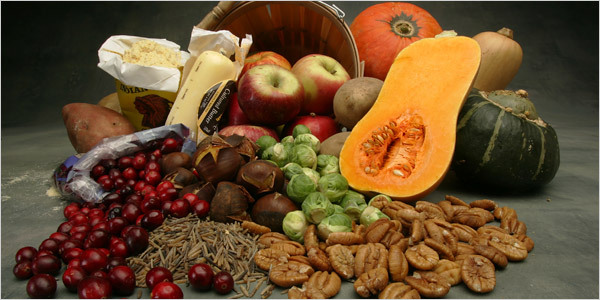 So be smart–chill on the carbs a bit; you’ll do wonders for your health as a result. 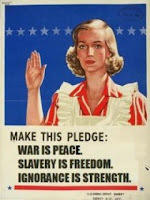 You all know how I feel about mandated vaccinations–it’s damn near Orwellian! Here’s a little story about what can go wrong when the government steps in and decides what they think is best for it’s peoples’ health, and then forces them to comply. From 1994-1998, the right-wing government which controlled France at that time mandated a national hepatitis vaccination campaign to “protect” its people against this dreadful microbe. 20 million citizens were vaccinated against hepatitis B which can infect the liver. As it turned out, approximately 1,300 people allegedly contracted serious side effects from the vaccine–one woman died. Now two drug companies are facing charges that they withheld important information regarding side effects of the vaccine, French officials reported yesterday. Smithkline Beecham, now GlaxoSmithKline GSK, and Pasteur Merieux MSD-Aventis Pasteur, now Sanofi Pasteur MSD, are accused of aggravated deceit for their roles in the mass vaccination campaign. Both companies deny any wrong doing. OK, I’m not going to play judge, jury or hangman on this post. I will contend that, perhaps, the drug companies did nothing wrong; they just provided a product. It’s really up to the consumer to weigh the risks. My main problem here lies with the fascist government that not only backed mass vaccination, but ordered it. How dare any government tell its people what they must put into their bodies. What an absolute violation of human rights. It seems to me that the French government, the one in power during the hepatitis vaccine mandate, is liable for criminal conduct–forcing anyone to undergo a medical treatment is simply barbaric. Now welcome to the world we live in: Mandatory vaccinations are increasingly introduced into legislation here in the good ol’ US of A. Mandatory HPV vaccinations for girls in Texas, mandated flu vaccinations in New Jersey–what the hell is this world coming to? Are you a big believer in the “this world was a cesspool before vaccinations” philosophy? Great! Go ahead and inoculate your heart out. And you trust that the government knows what’s best for you? Great? Enjoy your life. But don’t tell me what to put in my body, or my child’s. It’ll be a cold day in Hades before I accept what the corrupt political machine tells me I have to do to maintain my health. Heck no–I’d rather move to France. There’s a popular belief that earning power leads to better nutrition. Seems like a simple cause and effect. I personally don’t buy it, as I know that fast-food restaurants do quite well in poorer neighborhoods; and fast-food isn’t cheap. Nutritious foods can be purchased for the same amount of money–or less! But now we know for sure that the reverse is true; that better nutrition, especially in early childhood, can lead to greater earning power later in life. So says a long-term study conducted in Guatemala, which researchers point out could lead to less poverty through childhood feeding programs. Hallelujah! Now that’s science that makes sense. Finally a study that doesn’t try to squeeze the data to fit a particular (and often political when it comes to poverty) viewpoint. Just plain ol’ data collection, analysis and final conclusions. Crazy thing that science. The study looked at 1,500 people that had been involved in a nutrition study between 1969 and 1977 with some receiving a nutrient-rich protein porridge-like drink and others receiving a less nutritious placebo. They found that men who had received the nutritious porridge before the age of three earned 46% more per hour than those who did not. Children over three years old receiving the nutritious porridge showed no increase in earning power. 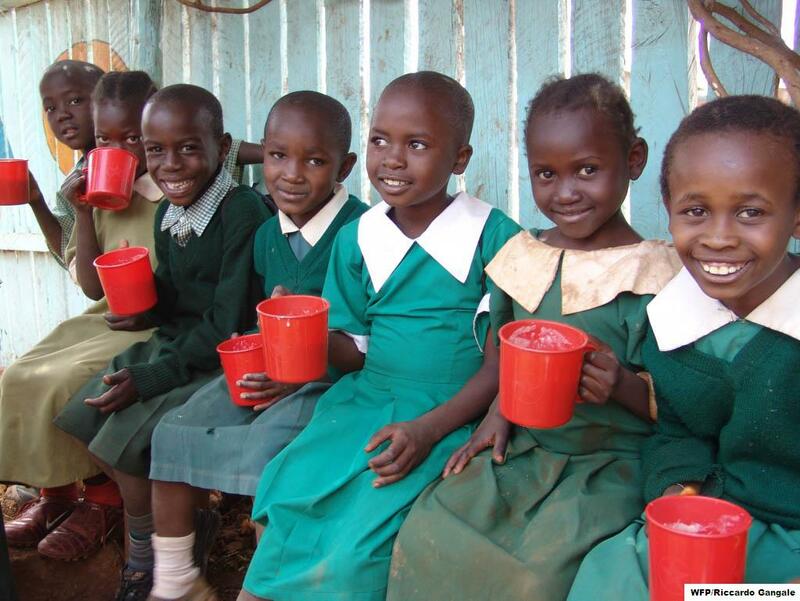 These results show that early childhood nutrition through feeding is crucial, especially since many well-known programs–like the United Nation’s World Food Program–focus on early childhood nutrition through supplementation and save the feeding programs for older kids. 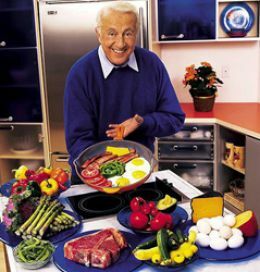 I always say that there is no substitute for real food–regardless of age. Supplements are good to supplement real food, not substitute for them. And real food should be the focus for all children, especially at the early age. So much development happens in the first few years of life, and young children need basic building blocks for proper growth and tissue formation; and this can only be gotten from real food. Bravo to the International Food Policy Research Institute (IFPRI) for conducting this study–it should help developing nations, and it should help us here at home.